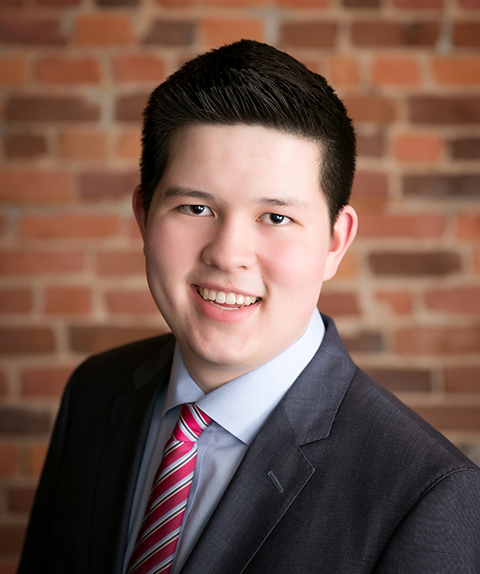 St. Paul, Minn. – Two seniors, Jacob Trout, from Columbia, Mo., and Brian Yu, from St. Louis Park, Minn., have received $30,000 scholarships from the Harold S. Geneen Charitable Trust. To be eligible, students had to (a) be a rising junior or senior, (b) have documented financial need, (c) be current majors in economics or political science, and (d) demonstrate a strong interest in promoting responsible corporate management and leadership ability. Both students are majoring in Economics and Political Science and are interested in corporate governance. 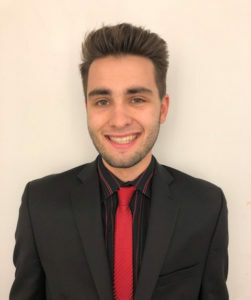 For Jacob Trout the scholarship is an opportunity to apply the knowledge he’s acquired studying economics and politics to understanding how corporate governance has become an issue of growing significance globally. “I see this scholarship as both an honor as well as a duty for me to apply my energy to further understanding and recognizing this contemporary geopolitical reality,” he said. Trout chose his majors because questions that are fundamentally social in nature have always been central to his academic trajectory. Once he graduates from Macalester, Trout would like work in international development research, policymaking, or implementation, and ultimately, he would like nothing better than to work at an elite think tank such as the Brookings Institute or the Council on Foreign Relations. Brian Yu is honored to be a recipient of the Harold S. Geneen Charitable Trust Scholarship. “The scholarship reinforces my desire to take my well-rounded Macalester education and leverage it into a successful career in business in a way that maintains my identity as an ethical and socially responsible individual,” he said. His curiosity about the intersection of corporations and the government and how they interact in order to best service society led him to major in Economics and Political Science. His passion for promoting responsible corporate governance is rooted in his desire to help change traditional corporate culture. Recipients are chosen by faculty in Economics and Political Science. Edward J. Noble Professor of Economics Pete Federer was involved in the review of applicants. Harold S. Geneen was the former chairman of ITT from 1959 to 1977. When he stepped down as chief executive at the end of 1977, ITT was the 11th-largest industrial company in the United States with more than 375,000 employees and $16.7 billion in revenue. According to the New York Times, Geneen’s management style and practices were widely imitated.